WE ARE SMALL ENOUGH TO CARE AND BIG ENOUGH TO GET THE JOB DONE AND BEYOND EXPECTATIONS. We have had the pleasure of woth with New Horizon Foods for many years. New Horizon's emphasis on providing quality , nutritous and interesting meals is the hallmark of their service. We particularly appreciate their spirit of collaboration in meeting the needs of our clients. I recommend New Horizon Foods without hesitation. 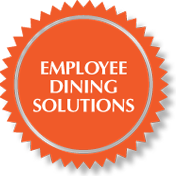 HAVING YEARS OF EXPERIENCE WITH A DIVERSE GROUP OF CLIENTS HAS FOSTERED AN INNOVATIVE CULTURE THAT CAN MANAGE ANY FOOD SERVICE PROGRAM, EFFICIENTLY AND EFFECTIVELY. The food service managers do an excellent job of making our dining experience a pleasant one. Attention is paid to dietary problems remedied upon request. Their staff of pleasant waitresses is well informed and neatly attired. A varied menu of flavorful meals are aesthetically presented and served in a friendly manner. A GREAT TEAM MAKES ALL THE DIFFERENCE. WE HAVE CREATED A REMARKABLE TEAM WITH OUR EMPLOYEES THAT PROVIDES RELIABLE, EXTRAORDINARY, CONSISTENT SERVICE YEAR AFTER YEAR. New Horizon Foods has been my employer for the past 10 years. The working relationship between the Retirement Community where I work and New Horizon Foods makes my job as the Director of Food Service a great partnership to be in. They both have the same goals in mind for the residents who live on our campus. As an employee of New Horizon Foods I receive great support from the District Managers and Owners of the company. They give their directors of Food Service the opportunity to set goals for themselves and with the clients. New Horizon Foods encourages us to have fun with our jobs and to keep the clients ans staff involved. They also offer on-going education for staff and directors. A strong company with great leadership. WE LISTEN TO YOUR NEEDS AND BUILD A CUSTOMIZED DINING PROGRAM TAILORED TO WHAT IS IMPORTANT TO YOU! Our work is focused on innovation, empowering our customers and honoring those we serve. New Horizon Foods has been a valuable partner in helping us integrate "Our Way" into our dining experience. For example, our customers told us that they want their meals on their schedule. New Horizon Foods worked with us so that we are meeting that customer's desire and truly making dining an "experience," not just a standard part of the day. They also have been a partner in the area of wellness, creating healthy meals that also taste good, and best of all, are enjoyed by our customers. Food is such an integral part of building a community in which people enjoy calling "home." New Horizon Foods is playing an important role in helping us fulfull our mission. YOUR SATISFACTION AND SUCCESS IS OUR FOCUS. IN ORDER TO GAIN YOUR TRUST AND LOYALTY, WE ARE COMMITTED TO PROVIDING THE HIGHEST LEVEL OF PERTNERSHIP AND SERVICE EVERY DAY. After hearing that my new community was using a food contractor to manage my dining services, I'll admit I was very hesitant about the idea. As an Executive Director, I was accustomed to hiring and have as a direct report the person who ran my operations. As I met with New Horizon's co-owner, he shared his company's philosophy and the assurance of teamwork between our organizations. It has been that and so much more. Very positive experience, especially with a start-up community. New Horizon provides leadership and understands the quality of service my residents deserve. There is a flexibility to adapt to the needs of my residents, a commitment to service and a watchful eye on our experience.